When you think of the Patriots, you might think of iconic names like Bruce Armstrong, Ty Law and Tom Brady. Maybe, if you're feeling adventurous, Laurence Maroney also comes to mind. But in the 57-year history of the franchise, many have suited up, and many have been forgotten. This space is dedicated to the unsung Pats heroes of yesteryear. The job of the long snapper looks easy, but in reality, it's anything but. You're only out there on the majority of fourth downs, but accuracy can't be stressed enough. One false move could lead to a slightly-wide field goal at best, and botched hold or fumbled punt at worst. Mike Bartrum is no stranger to the demands of the long snapper position. He carved out a 13-season NFL career, the bulk of which he spent as a long snapper. 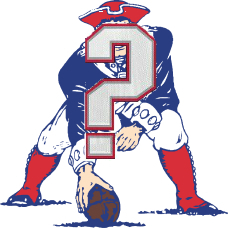 Four of those 13 seasons were spent in New England, and thus qualifies him as this week's Obscure Patriot of the Week. Bartrum joined the Pats in 1996, after parts of two seasons with Kansas City and Green Bay, where he played a total of seven games. While he was looking for the next opportunity to prove himself on the gridiron, he taught special education. Like most snappers, Bartrum pulled double duty -- also playing tight end. He was only targeted three times in short-yardage situations, though, and caught two passes. Both of those catches were touchdowns, so he has the honorable distinction of saying that every pass he ever caught as a Patriot was for a touchdown. He was also part of the 1996 squad that lost to his former Packers team in Super Bowl XXXI, and played in each game of that playoff run. Incidentally, it would not be the last time he'd play in a Super Bowl involving the Patriots. After a stint in New England that saw him miss just seven games and get his NFL career back on track, Bartrum signed with the Eagles prior to the 2000 season. He was part of the team that lost to the Patriots in Super Bowl XXXIX, and made his lone Pro Bowl appearance in the 2005 season. Unfortunately, injuries to his spine forced Bartrum to retire after the 2006 campaign. Following his career, Bartrum settled in his native state of Ohio, where he started a pre-school, served on the local government and coached the football program at his alma mater. The work of the long snapper often goes unnoticed -- it's a position where you're better off seen and not heard. It wasn't easy for Bartrum in his early days as a Patriot, but he was able to kick-start a successful and accomplished career. 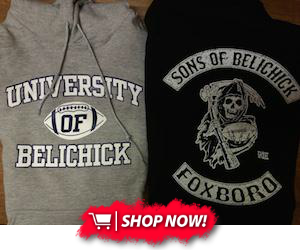 Have any Obscure Patriot of the Week recommendations? Let me know on Twitter @Riches61!